A panel debate about the performance of the Obama presidency has been held to launch two new books co-edited by City University London researchers. Hosted by the Centre of International Policy Studies (CIPS), the City event welcomed the public to join in with discussions about the President’s progress with foreign policy and domestic race relations. The evening saw the launch of Barack Obama and the Myth of a Post-Racial America, which was co-edited by Professor Inderjeet Parmar, Head of City’s Department of International Politics, City Visiting Research Fellow Dr Mark Ledwidge and Kevern Verney, of Edge Hill University. The academics also launched Obama and the World, the second edition in a series called New Directions in US Foreign Policy which was edited with Professor Linda Miller, of Brown University. You’ve got a man who is sat in the presidency and who has not really been able to address race in a concrete or overt way. Dr Ledwidge claimed that issues of race were “deeply embedded in the very inception of the United States” and said Obama had not made progress in tackling racism and race equality, despite being the first black president of the USA. “Obama picks up on the theme of the founding fathers,” he said. “He knows the true history of the founding fathers, but when he presents them to the United States audience he presents them in this idealised way that does not deal with reality. Other panel members agreed they were “disappointed” with the politician’s overall performance and that he had not delivered on the promise of change that his election brought. Dr Ledwidge said: “The importance of Obama doesn’t just lie in what happened when he was the President, the importance lies in what happens post-Obama. “How will African Americans deal with the fact that since the late 1960s, they have put a lot of effort into the idea that if you could just get African American politicians, things would move forward? Professor Parmar focussed on Obama’s foreign policy and said it had been broadly unsuccessful, adding controversial drone strikes had also increased significantly during his two terms. He argued that disappointment with the “continuities of Obamas and Bush's foreign policies” was down to a powerful US foreign policy establishment “wedded since 1941 to militarism and global intervention”. He added Obama had “failed to capitalise” on global and US opinion for change, explaining that the President’s own social trajectory through elite schools – which “incorporated talented racial minorities into mainstream politics” – had effectively tied Obama to the status quo. 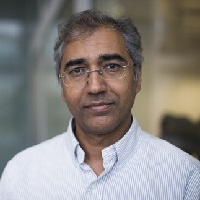 Professor Parmar was joined in his criticism by panellist Professor Lee Marsden, of the University of East Anglia, who described the president’s record as “pretty hopeless”. Commenting on foreign policy in the Middle East and the prospect of a deal with Iran on its nuclear programme, Professor Parmar said the agreement was creating strains with other US allies, like Israel, who were against the idea. “It’s not just Israel that is demanding a hard military policy towards Iran,” he said. “Saudi Arabia has also said that if this deal goes ahead they would begin a nuclear programme as well. “In a way, this is a rod of their own making from which he is suffering. The book launch took place on Wednesday 18th March. Below is the full panel line-up, which was made up of contributors to the new books. Dr Mark Ledwidge (Research Fellow, City University London).